My relationship with Mark Ramprakash goes right to the top. At a dinner at Lord's last year, Mike Atherton said that I had "a blind spot" about the great man, and he should know. 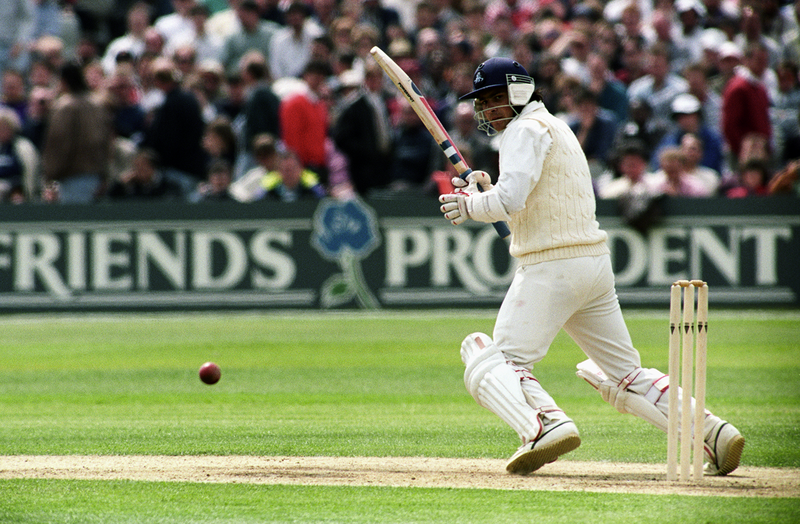 By the time Ramprakash made his Test debut, against West Indies at Headingley in 1991 at the age of 21, Atherton, who opened the batting with Graham Gooch in that game, had already made three Test hundreds. It was one more than Ramprakash would achieve, and Ramprakash's international career fit almost entirely inside Atherton's. His second and final ton came against Australia in August 2001, in Atherton's 115th and last Test: by the following March, Ramprakash had made his final international appearance too. For most people that was where it ended, not just the careers of two very different players, but a fractured era of English cricket. Three years later came 2005, that sliding-doors summer with its new-generation heroes. For me, though, it was just getting started. Ramprakash was about to embark upon the second half of his batting life, the dark and brooding exile of county cricket who would rain down runs upon his foes and achieve a great mark of batsmanship: one hundred first-class centuries. He is almost certainly the final man to join a list that begins with Grace in 1895 and that has been eroded by time and change. It is a list that contains just 25 names - 25 names from all of those to have played the game. Ramprakash crossed that distant boundary in the summer of 2008, just as Atherton became cricket correspondent of the Times, which, like the England captaincy, is one of the great offices of the sport here. He too saw these strange halves of Ramprakash's life, the duality, and he observed them from his unique position as team-mate, as captain, as writer and broadcaster. That night at Lord's it was clear that Ramprakash was an essential mystery even to those who had seen him up close. It was driven on some complex fuel, too, this mystery, fuel that burned from an enigmatic mix of natural ability, thwarted ambition, aesthetic beauty, failure, loss, redemption, and love for a game that seemed determined to betray him. Ramprakash and Atherton are of similar ages to me; we are from the same generation. As you grow older you realise that you have a different relationship with the cricketers who played during the time that you would have played (had you been a player) than to any others. As a child you have heroes, an uncomplicated thing. Once you reach "retirement" age, the mid-30s, when sporting careers end and the players are now all younger than you, the relationship changes again. They are contextualised in your mind by experience and history - they may perform heroically, but they do not stand on the same land as the mythical figures of childhood. Those in the middle years, your contemporaries, tend to be more ambiguous than either of the other groups. There is less distance. You're growing up at the same speed during the same times; lives are divergent but the background noise remains the same. Mark Ramprakash was the kid who had everything. He was so obviously a star in the making that it seemed barely worth saying: a first-class debut for Middlesex while still at sixth form, a Man-of-the-Match performance in the NatWest final of 1988, a maiden Championship century at 19… He also had "it", whatever "it" is, that certain internal quality that separates the blessed. He held himself differently. His batting was not only aesthetically pleasing, it had a snap and a rigour to it, a natural severity. He slipstreamed easily towards the England side, a place at last big enough for the ambition that manifested itself in his glowering determination and the dressing-room nickname that gently sent him up: "Bloodaxe". In a coincidence that would seem novelistic if it wasn't real, another great hope of English batting arrived in the team at the same time for the same match. Graeme Hick was not actually English but his seven-year residential qualification concluded in the early summer of 1991, time he had filled making many thousands of runs for Worcestershire, including a top score of 405 not out, an innings so vast it featured in the evening news bulletins on TV. On that June day, Headingley lay under skies so heavy, Viv Richards sent England in without a second thought. Hick, batting at No. 3, got 6 before he was caught behind off Courtney Walsh. Ramprakash walked out as Hick walked off, and so it began. That Test is best remembered not for the debuts of the men who would come to symbolise something about English cricket in the 1990s, but for Graham Gooch's 154 not out, an innings regarded as the perhaps the greatest ever played in this country. Yet in my head, it is the first morning that lingers, an augury of both hope and doom. 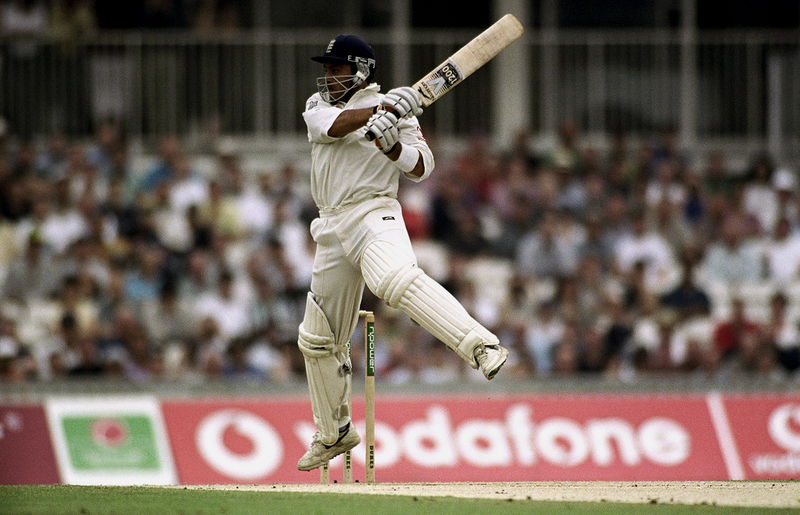 Ramprakash made 27 in each innings, a number that would become his final Test average. He would go on to be dropped and recalled so often there doesn't seem to be a definitive number of times. He played better on tour than at home, averaged more than 40 against Australia, and his two centuries were each perfect miniatures of what he might have been: 154 in Bridgetown against Ambrose, Walsh and Bishop, and 133 at The Oval against Warne, McGrath, Lee and Gillespie. By that point I felt the same way about English cricket as I did about Ramprakash himself - it was the hope that killed me in the end. Hate and love, the pegs for this piece, were in there as well, but they were too binary and too straightforward to properly describe the emotion. That ambiguity surfaced. In a way, I wanted him to succeed because he seemed to be the best that our generation could offer. Anyone who batted, no matter how lowly the game, would surely like to bat like he did. But it seemed unfair to invest in him all of this hope when he so obviously struggled with his own burden. How must it feel to have the world trying to explain to you where you were going wrong when you didn't really understand it yourself? And then the sun came out. Ramprakash found something in himself, something that came from a place of love, and he became transcendent in his way. For two entire seasons at Surrey he averaged more than 100; he made scores of 150 in five consecutive matches; he found his way towards the magical mark of 100 centuries. With more fearful symmetry, it came against Yorkshire on the ground where he had debuted for England half a lifetime before. Here's how he described the moment: "I got to 20 and I thought, 'Yup…' I still had to work very hard for it. I remember getting within one shot of a hundred. It was a left-arm spinner, David Wainwright. He bowled five very good balls, and I'm thinking, 'Bloody hell, give me something…' The last ball he put a little bit wider and I managed to hit the gap. It was very exciting, a wonderful feeling…"
I think that moment offered Ramprakash vindication. It certainly legitimised his gift. With more symmetry, the man who preceded him to 100 hundreds was Graeme Hick, and the two before that were Viv Richards and Graham Gooch, so all four had played together on that day at Headingley long ago. When I think about the players that I've been most drawn to, the ones I've written about again and again - Barry Richards, Kevin Pietersen, Mark Ramprakash - they have shared an uneasy relationship with the game, they have been regarded by others if not themselves as unfulfilled. It's easy to develop a relationship with their work that lets you think that you know more about them than you do. All you can really know is that their talent speaks to you in some way. As Atherton said, it causes blind spots, and they are sometimes worth having. Two so-called unfulfilled talents are now at the top of the tree in coaching batsmen. Does that compute?